Get your suit and tie ready, Chicago. 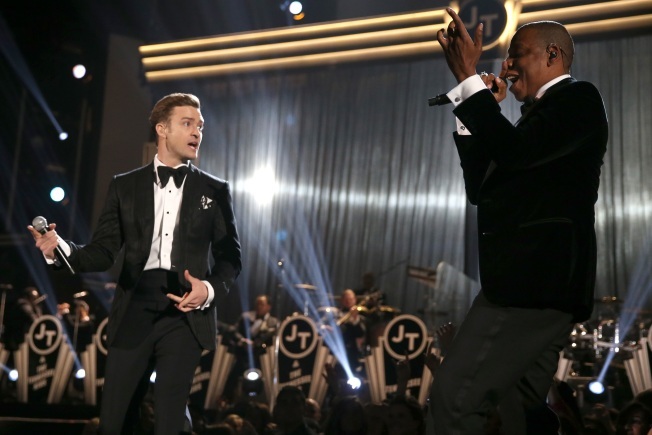 Jay-Z and Justin Timberlake are headed out on tour together and they're coming to the Windy City. The duo, who performed together this month at the 55th Annual Grammy Awards, announced Friday their 12-city stadium tour, kicking off July 17 in Toronto, will swing through Chicago's Soldier Field on July 22. In advance of Timberlake's album, “The 20/20 Experience," due out in March, rumors were plentiful about tour dates. The Grammy appearance seemed to seal the deal and, on Friday, all became clear. Tickets for "Legends of the Summer" go on sale Feb. 28 for between $39.50 and $250. Presale tickets are available Feb. 27. The tour wraps Aug. 16 in Miami after stops in New York, Los Angeles, Detroit, Boston and Philadelphia.